Handcrafted with the finest solid wood, our quaint and timeless Westland Corner China Pantry is built to order and built to last for generations. A small open deck rests between an upper china display case and lower cabinet for storage in your Westland Corner China Pantry. A bracketed base and raised panel doors perfectly pair with the traditional crown moulding in this small china cabinet. While the hutch provides a glass shelf with plat groove, the spacious buffet offers a wooden adjustable shelf for clever storage. 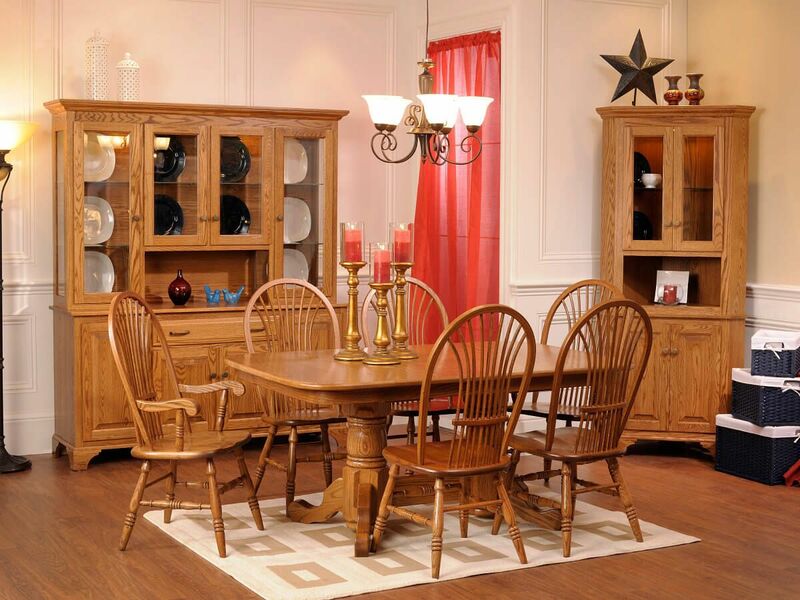 Choose your wood, stain, and options and our Amish artisans will handcraft your Westland Corner China Pantry to order. This piece is pictured in Oak with a Country Road hand-rubbed finish.